I have a friend who raves about Widow Jane. He will drink it over pretty much anything else. For me, the finish is too sharp, making this bourbon too harsh for me to really enjoy – which at $70 per bottle, is a bummer. 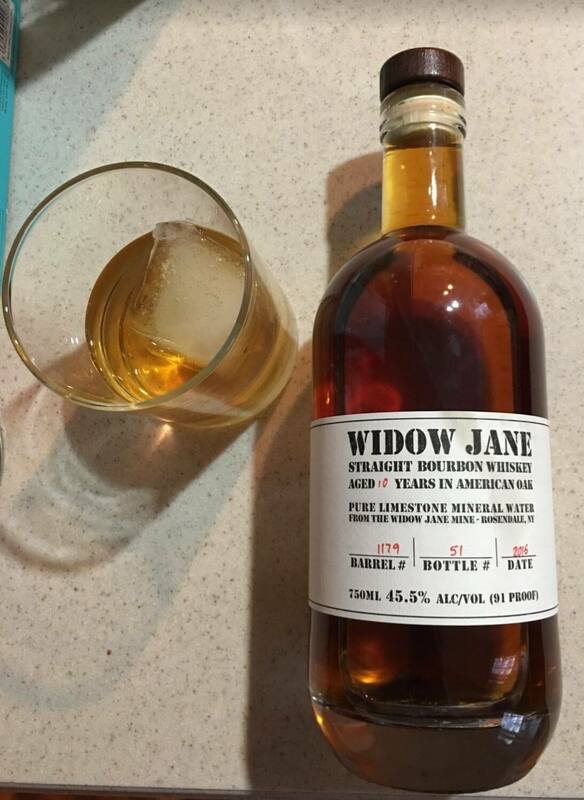 Widow Jane for me is the perfect example of how a bourbon can pick up too much sharpness once its left in the barrel too long – which is what this tastes like to me. I wanted to enjoy it, I just couldn’t get over the finish. For me, this is a let down at a 45/100. So, why does it rank lower than Jack? The main reason for me is I am factoring in the price to enjoyment. Jack doesn’t taste good to me anymore – but I don’t really feel like I wasted any money for the bottle sitting on the shelf because I know someone will use it in a mixer. Widow Jane is too expensive to use in a mixed drink – but I can’t really enjoy it with a splash of water or over ice – which makes me feel like I wasted my money. If you like notes of cherry with a strong tannic finish this whiskey is for you. For me, the price to enjoyment were out of sync. Previous PostZombie Movies – Trench 11Next PostVoting – What Century Is It?